As a savvy individual looking to boost efficiencies and increase productivity, you’re probably well aware of the many benefits of cloud accounting. However, getting your other colleagues on board can sometimes be easier said than done. What exactly is cloud accounting and how can it benefit your organisation? Cloud accounting or “online accounting” uses an internet connection to access accounting software and storage, instead of physically installing it on a computer. Compared to traditional accounting software, it is flexible, simple to use and is a great tool to increase collaboration and productivity. Automatically updated financial data and the ability to work on a singular file with various individuals makes balancing accounts more accurate and error free. Another benefit of Cloud Accounting is having access to your real-time financial information, on any device; gives you the capacity to make better decisions, anytime and anywhere. There have been numerous studies done that highlight the importance of collaboration and how it drives workplace performance. A survey by Frost & Sullivan highlighted that organisations that invested in collaborative technologies exponentially raised productivity by as much as 400%. Imagine creating an environment that gave individuals the tools to be able to optimise their work and make their life easier. 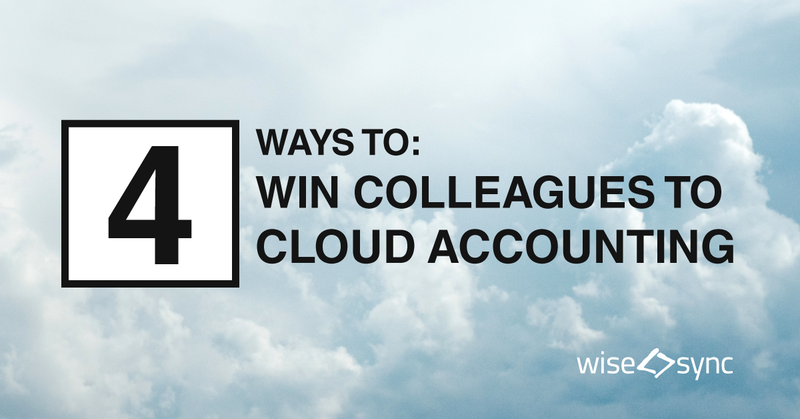 With cloud accounting, it allows for easy collaboration between individuals and teams. Giving multi-users or individuals the ability to access relevant files and documents anywhere, anytime. In this day and age, the ability to work remotely has put a demand on organisations to be more flexible and open to investing in collaboration tools. Working in the finance team, it used to mean never-ending manual processes like form filling, searching for client information and data what was stored in various locations or in paper format. Cloud accounting does the hard yard for you, keeping the information in a central location, all data is remembered and easily accessible. Online portals now allow you to access data automatically and helps you verify documentation and payments – saving you even more time. Data security is a huge topic these days, many individuals are worried about risks of the cloud and storing their data into the hands of a third party. However, most cloud accountancy providers abide by strict governance and therefore offer incredibly high levels of sophisticated data security. These strict measures safeguard your data and make sure that it’s stored completely securely. You also don’t need to worry about data corruption or lost as all data is securely backed up in the cloud – instead of laying around on someone’s laptop that could potentially be accessed by anyone. Cloud accounting software helps you access benefits that would have taken a whole team or large amounts of money in the past. Now smaller companies have the tools to compete with large corporations within their markets. Simplifying the accounting allows the business to focus on the more important things and keep on top of their accounts. Remember that no two businesses are the same and no two cloud accounting software’s are either. Make sure you do your research on which cloud accounting platform works for you.